Season's 52 is located at 90 Perimeter Center West, Dunwoody GA 30346. 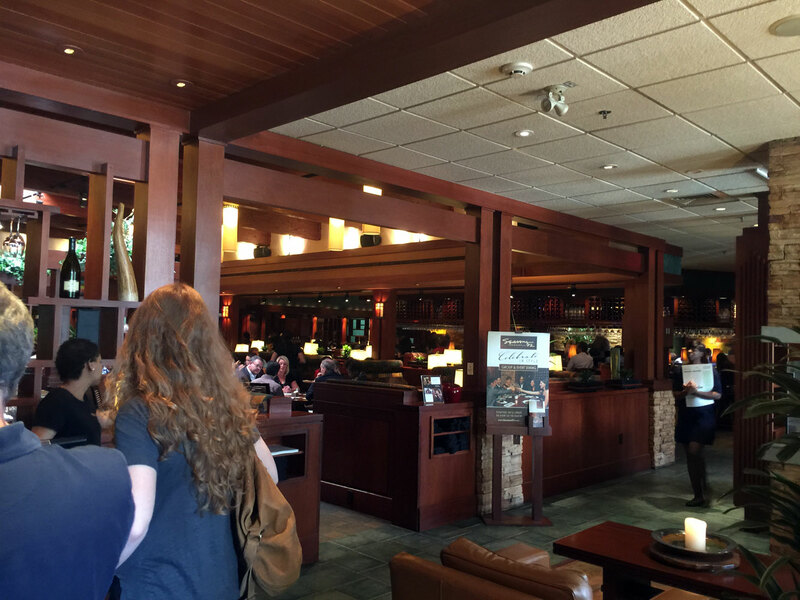 The restaurant is a parking lot outlier at Perimeter Mall near the Capital Grille. Had a chance on several occasions to sample the delicious fare at Seasons 52 - which I think is quite good. The first time I started with the Garlic Chicken flat bread, quite tasty and satisfying (think of a very thin pizza with fresh roasted veggies and you'll get the gist). For dinner I had the signature Caramelized Sea Scallops - grilled and served with asparagus, sun-dried tomato pearl pasta and a light lemon glaze - it was quite satisfying and wonderful. I love sea scallops cooked right - no rubber hockey pucks here. The wine menu, apparently what the chain is really promoting, looked very inviting and comprehensive. Unfortunately I went with a diet Coke instead - even a Newcastle would have been preferable, however my plans didn't allow for the pleasure of alcohol. 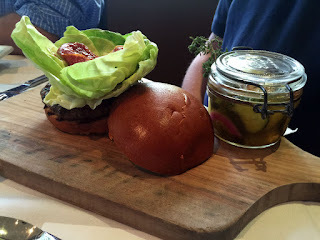 Most recently I've attended a seminar in a private dining area in the back - both the seminar and the food were fantastic. 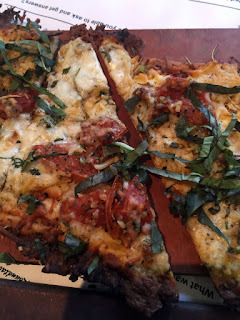 Roasted Tomato Flatbread - this is a bit of a standard that always works. 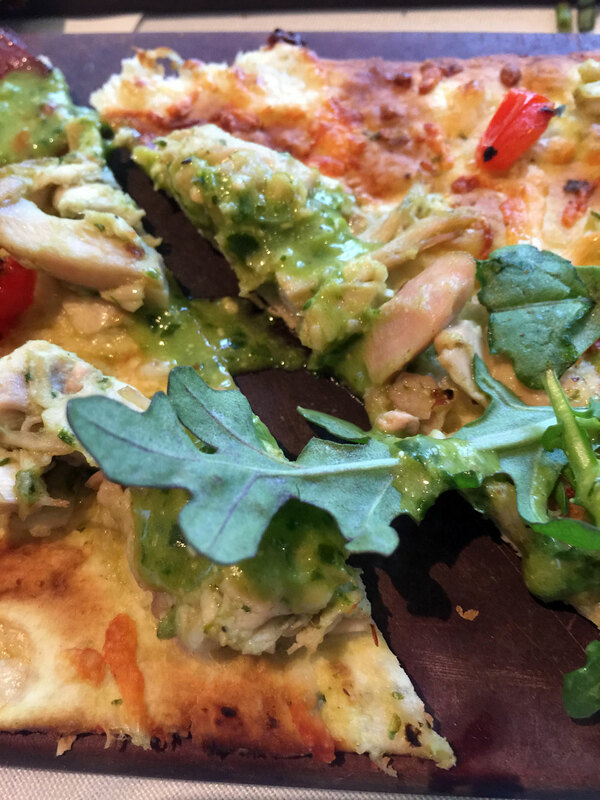 Grilled Garlic Pesto Chicken Flatbread - I liked it but it had a lot going on flavor-wise. 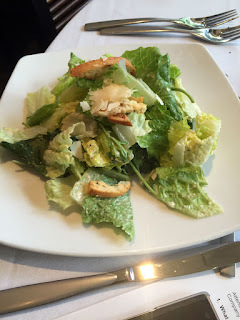 Romaine and Kale Caesar Salad - one of the best Caesar salads I've experienced in some time - for some reason many restaurants have a hard time with the wet-to-dry ratio, either over dressing and getting everything soggy (most common) or making it so dry you have to drink between bites. This was just right. 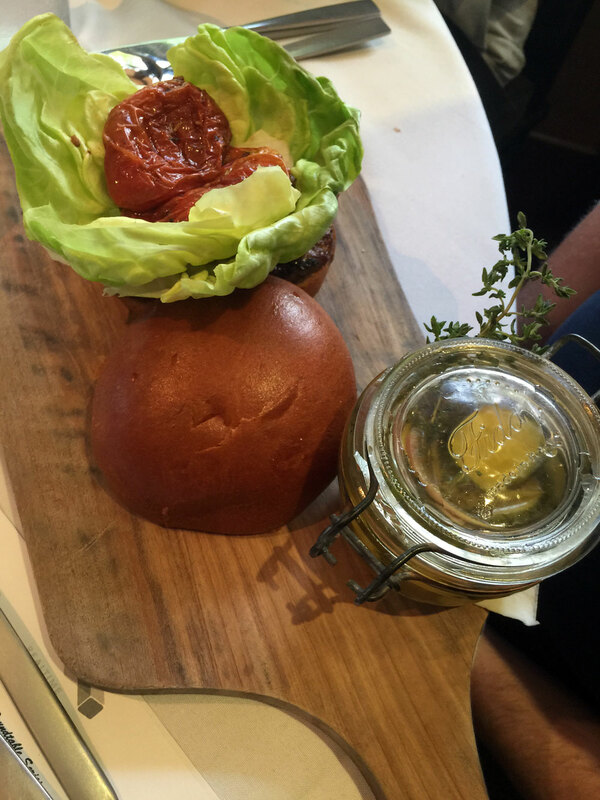 Signature Burger - frankly you can't go wrong here with the Angus beef and mushroom duxelle, butter lettuce, roasted tomatoes and of course the homemade pickles. 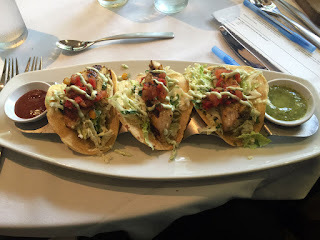 Blackened Mahi Mahi Fish Tacos - this was my favorite - I don't typically order Mahi Mahi but these were downright delicious, both in freshness and preparation. 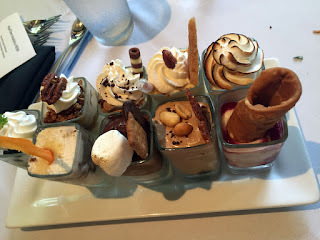 Did I mention Season 52's Mini Indulgences? 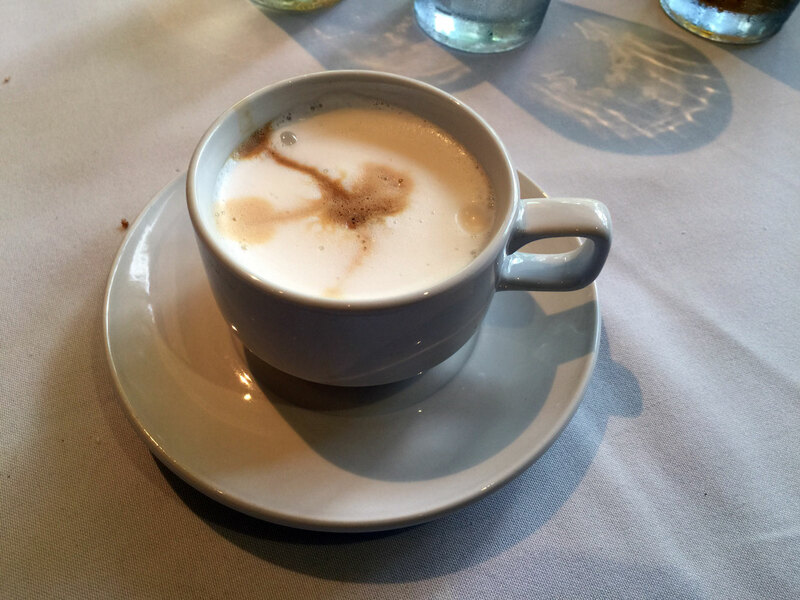 With a cappuccino these are about as perfect as you can get as a fitting end to a great meal. This is probably some of the best fine dining near the mall - sure there's McKendrick's and Capital Grille, but 52 provides something different, with imaginative food styling and more of a continental and healthy twist. 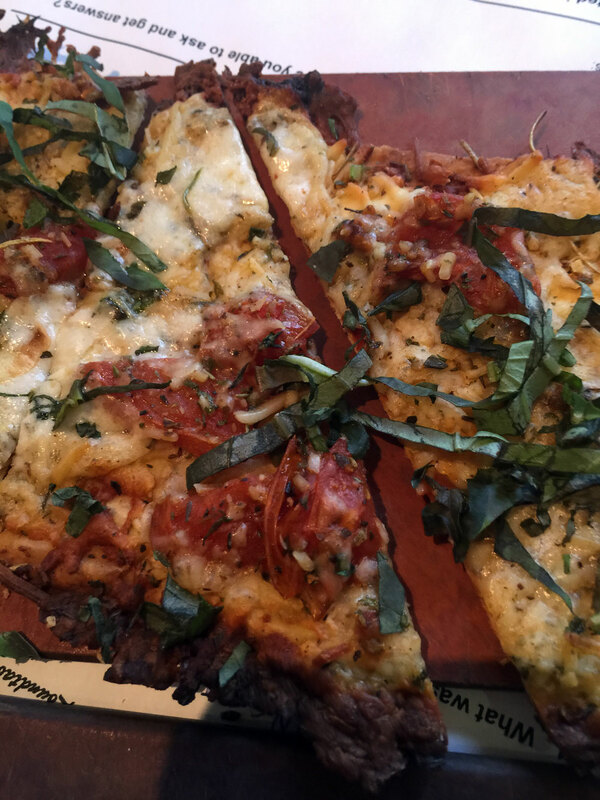 (much shorter review previously posted to Yelp).